Its mid week and we can see the long weekend just over Thursday’s shoulder…One thing we use a lot to get us through the week at Ralph’s is coffee. 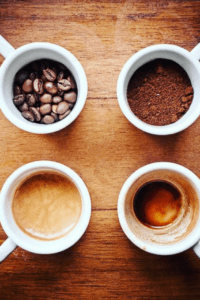 Bean juice, cuppa joe, morning jolt (often times in the afternoon as well). We like to be cool and caffeinated. 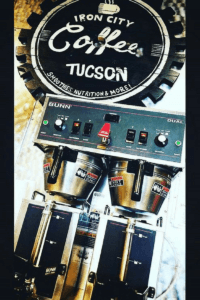 Over the past few years, Tucson’s coffee scene has literally blown up! There are so many options to choose from. Cartel Coffee Lab opened its first Tucson locale in 2009 and has that farm to table feel. 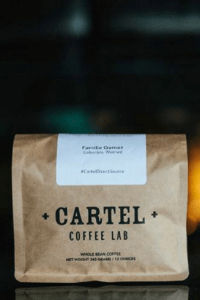 Cartel boasts personal relationships with the farms they garner their beans from. Secondly, they also roast their own beans and even have a subscription service if you feel like making your beans at home. The downtown shop has a counter service menu that includes pizza and beer. Iron City Coffee, new on the scene, and close to our office. Iron City has an extensive menu that includes smoothies and healthier fare as well as Baggin’s wraps and salads. Close to a crossfit gym, caters to the fit crowd and even serves bullet proof coffee! Yellow Brick Coffee is a hidden, out of the way roaster café. 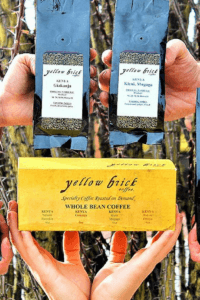 Founded in 2011, Yellow Brick also boasts both artisan beans and roasting techniques. The brick and mortar officially opened its doors in 2014 and is called “the Oasis” by businesses that are in the surrounding area. You can find sweet eats from Prep and Pastry there to compliment your coffee order. Classes and events that can be found on their website! 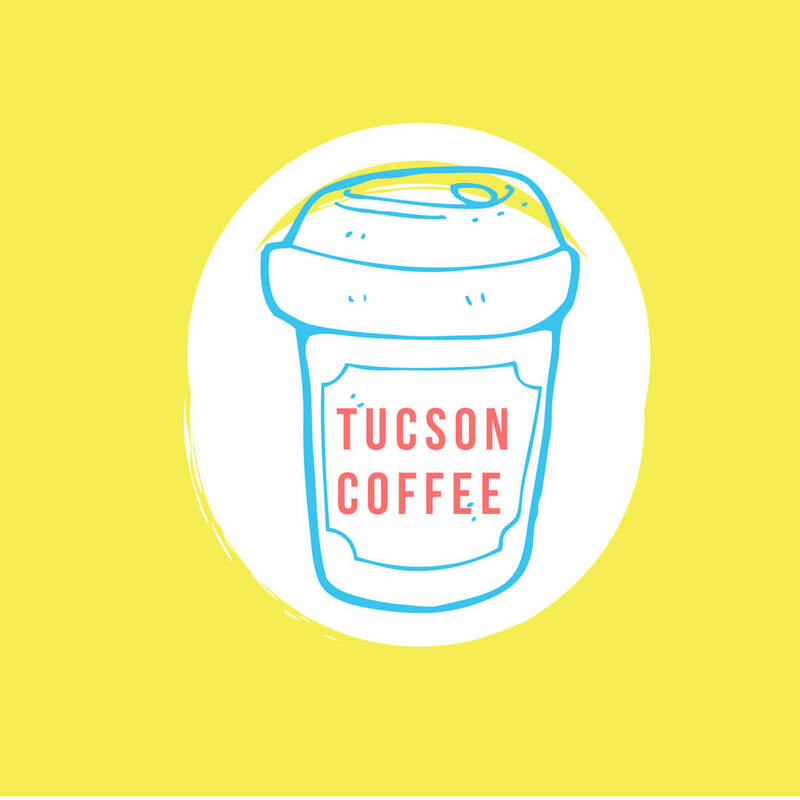 Café Con Leche at American Eat & Co. Market, is the newest coffee shop to open in South Tucson and is located in the new collective eatery concept. 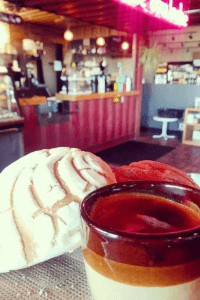 This spunky spot also has pan dulce to choose from that will take your cafecitos to the next level. Dunkin’ Donuts on Craycroft and 22nd OR Circle K on Swan and 22nd . You can’t beat the old stand bys. 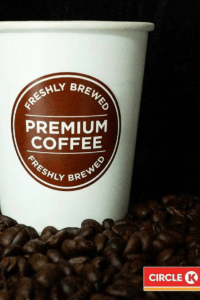 From Dunkin’s familiar slogan ‘It’s time to make the donuts’ to getting gas and stopping in for the liquid gold of coffee brewed at Circle K, these two locations are en route to the office and are like guilty pleasures. In conclusion, we hope that these recommendations will keep you cool and caffeinated this summer! We agree, learning is always good! Do you need help, support or information? Copyright 2018 Ralph's Moving and Storage.